After getting ready for a business exit, the first thing that has to be done is to value the business. This is when the fun starts as there is no straight forward calculation that can determine the value of your business. The most important thing to remember is that the value as in any economic transaction is what a buyer is willing to pay and what a seller is willing to sell at. The rest is all guff that accountants, lawyers and analysts love to calculate and go on about, not least because some can rack up their fees by making it more complicated. The key is to remember that a buyer will want a higher return than they can earn elsewhere with less risk! So a buyer will calculate how quickly those returns will pay back his initial investment cost of buying the business. If they have to pay £10 million and get £1 million per year in earnings from the business, it will take 10 years to earn the initial investment. Most will want a much shorter time to earn their money back. There are many methods of valuing a business and here are the most common. This is used in smaller professional services businesses such as law firms, surveyors, accountants etc but also in SMEs where the profitability can be difficult to establish due to how earnings are extracted out of the business by the current owners. The multiple can vary but usually can be from 1 to 2 and possibly only slightly higher than that for the last year or two. If the sales have taken a hit recently, this is not so favourable. This is the most commonly used method and takes EBITDA as the key figure. The historical EBITDA figures tend to be adjusted for any exceptional items and also for costs that the buyer may not need to incur such as Head Office costs if they already have a HQ. As before, if the past earnings have any hiccups, it’s not so good. The actual multiple will depend on the industry sector, some will be 5-6 times earnings and others can be as much as 10 or higher. The more niche the business and less fluctuating its earnings, the higher the multiple. Barriers to entry to the industry sector will also help increase the multiple. This is where it starts to get complicated when buyers start using financial experts to look at projected future streams of cashflows the business would generate and start discounting these to present values using a discount factor such as the Treasury bill rate. The Warren Buffets of this world will use these calculations and it can be very effective in comparing different buying opportunities. Some businesses are bought purely for their assets and these can be valued by experts if these are not readily available in the open market. There can also be a combination of the above factors used to value a business. The key thing to remember is that, good news about future prospects and earnings will carry a lot more wight than any of the above if that can be demonstrated to a potential buyer. 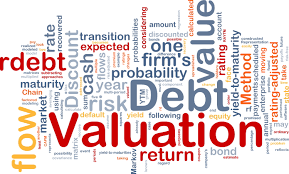 However, a buyer may have to go through the hoops of getting valuations done especially if they are borrowing part of the funds to make the acquisition. Bankers will always want outside experts to use some of the methods above to value the business before they part with their cash. If you’re thinking of selling your business, it’s worth using some of the above methods to value your business but it’s important to have a plan for the future. A sound business plan with projections can be invaluable in starting the negotiation.